After the highly acclaimed debut solo album of music by J.S. Bach, San Diego Symphony musician Jory Herman releases his second solo album of music for double bass and piano which will be released on July 14, 2016. San Diego Symphony Orchestra musician, Jory Herman, has recorded his second solo album, titled "Life," which will be released on July 14, 2016. Vier ernste Gesänge (Four Serious Songs) by Johannes Brahms is the capstone work on this album. Adapted from the solo baritone work, this arrangement for double bass gives the disc emotional depth and highlights the rich sonorities unique to the lowest instrument of the string family. 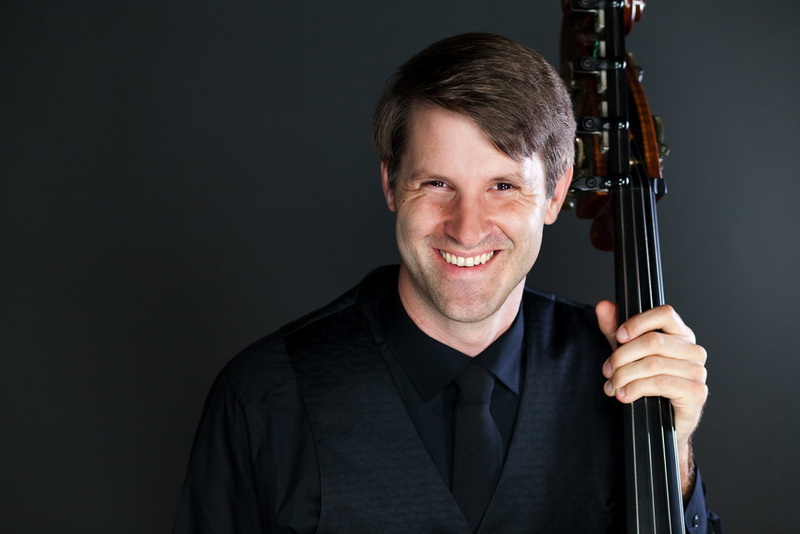 The Skellet Knell by up-and-coming composer David Kirkland Garner is a world-premier commissioned by 25 nationally recognized bassists and organized by Mr. Herman himself. This uniquely crowd-sourced composition pushes the boundaries technically while capturing sonorities that are idiomatic to only the bass. Self-produced by Jory Herman and recorded by Daniel Rumley of Rumley Music and Audio Productions in 2015, the album captures the incredible depth and resonance of the double bass in contrast with the powerful yet nimble piano accompaniment of both San Diego local musicians Brendan Nguyen and Bryan Verhoye. This album will be available for pre-order at http://JoryHerman.bandcamp.com and will be released to the public and distributed digitally to iTunes and physical sales on CdBaby.com after July 14th. Mr. Herman joined the San Diego Symphony in 2010, and beyond the performance schedule of the Symphony, he has been active in the San Diego community performing solo recitals, chamber music recitals, and weekly instruction for the school orchestra programs at Mira Mesa High School and Rancho Bernardo High School. He launched the first annual San Diego Bass Fest! on June 23-26, 2016 that brought local area student bassists together to study for 4 days with internationally recognized performers and faculty such as Mark Dresser, Andrés Martín, Rob Thorsen, PJ Cinque, Sayuri Yamamoto, and more.